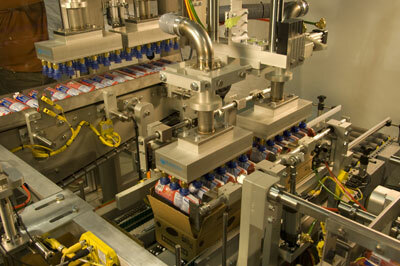 For tertiary packaging applications, Kraken offers a range of case packing system solutions. 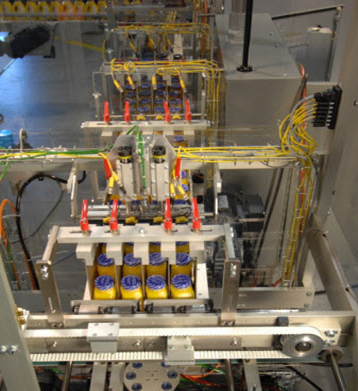 At Kraken Automation, your needs are the starting point of our solutions; we offer a wide, flexible, and fully customizable array of case packing systems. From semi-automatic case packers, automatic case packers, to robotic case packers, Kraken can meet the demands of any application. Kraken’s Case Packers offer a viable solution for bag-in-box packaging systems, particularly when the system footprint must be kept tight due to floor space constraints. Due to our experience in the food industry, we are experts in hygienic environments. 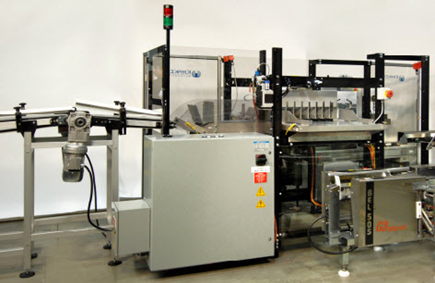 Our case packing systems and robotic case packers have handled a wide array of products from flexible tubes, cartons, and plastic containers packaged into multiple pattern arrangements at rates up to 25 cases/min. If your case packer requirements do not fit inside any of Kraken’s standard automatic case packer offerings, contact us. We can customize a case packer equipment solution to meet your needs, no matter how challenging your packaging requirements. Past customizations have successfully negated restrictive installation footprints, out-of-standard package sizes and shapes, and tight speed limitations. Kraken’s mandate is to approach our customers with the mindset that their case packing system requirements may be best served by a combination of manual, semi-automatic, automatic, or robotic case packer elements. The customer knows best. Let’s work together to deploy your solution.